Internet security and e-mail traffic are a very important issue for all who wish to can use Internet infrastructure effectively and productively. With negligent handling may be the violation of privacy rights, data espionage to data loss and financial harm against the users. As more people integrated their workflow with the use of computers and smart devices; more data protection is required, which has its corresponding cost. Do not take IT security to the light of the day, up to 90% of all e-mail traffic is spam. The thus worldwide Emerging economic damage goes into the billions. The vast majority of mass e-mails are sent today by professional spammers. A measure to protect against spam e-mail may be the secrecy or concealment of own e-mail address. 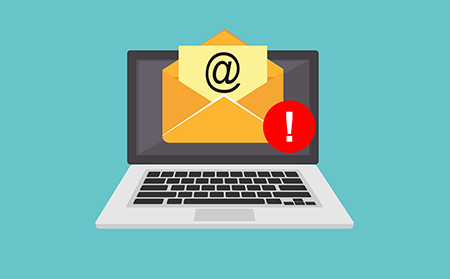 Colleagues and contacts can contribute to the accidental dissemination of email address by sending an e-mail to a larger group of people using the “copy to” feature (CC – Carbon Copy). Then all other recipient addresses are visible for each recipient. The alternative is to use the BCC (“Blind Carbon Copy”) feature and ask others to do it, preventing leakage of email addresses. However, the most practical way to protect against garbage mail is Filter incoming messages. The filtering of incoming mail for desired and unwanted messages may be delayed different principles are made. A method checks the IP addresses of the Sender mail server and matches it with a constantly updated blacklist. Antispam open source blacklist contains IP addresses that are known to be sending spam mail. Emails from these servers will not be accepted without the end-user noticing that it was blocked by the antispam open source. Another antispam open source method also works with whitelists; containing the IP addresses of known trusted servers. The positive error, ie the case that a harmless mail wrongly rejected as spam is very unlikely in the blacklisting process, because antispam open source systems are always updated. Most corporate, university computer centers and some e-mail services use these methods. The disadvantage, however, is the high number the spam emails that can pass this hurdle and end up in your mailbox. Another method filters e-mails according to content criteria. Words in the subject line or sender address. Works that way, for example, the junk e-mail function of the e-mail program Outlook and Thunderbird. An antispam open source program that works on the basis of blacklists and whitelists and in addition to the actions of the data center or can be used privately. An antispam open source switches between the Pop3 server or the Pop3 mailbox and the email client. Each message is programmed via Domain Name System-based Blackhole List server compared to lists of known spam sender addresses and marked if necessary. Antispam open source has a learning filter that continues to evolve as time passes. Another free antispam open source platform is the Spamihilator by Michael Krämer. It works on a learning basis Bayes filters and switches just like SpamPal between Pop3 server/mailbox and email Program. This antispam open source program is easy to use, integrating itself to Outlook or Thunderbird automatically when installed. This antispam open source enables checking of incoming email using a reliable spam word filter. E-mail services such as Outlook.com, Gmail and Yahoomail have their own antispam open source filters set up by default. Most commonly use a combination of IP addresses blacklist checking, keywords, and Bayesian filters work. These filters automatically sort incoming mail into the Inbox or a folder known as spam or junk mail, for example. The here deposited E-Mails was classified as problematic by the filter and will be changed after a few days (varies between about 5 and 30 days) deleted. Check this folder regularly to see if not the desired e-mail is among the spam emails. Of course, you can also use the filters of the e-mail services with the combine antispam open source programs, two filters will find more unwanted promotional e-mail than one! It’s an antispam open source, basically, an appliance that runs stealthily in the background and filters spam transparently for the users. It runs alongside the company’s mail server, saving the limited system resources of the latter. Comodo Dome Anti Spam hardware uses heuristics scanning of emails, it installs a special filter for those still suspiciously behaving file attachments. Valkyrie is the cloud-based real-time database that connects the mail server to the Comodo Cloud in order to keep the spam-signature updated. Being compliant with the EFA-project, Comodo has a standard list of known spammers. This is supplemented by its aggressive heuristics scanning of the emails that further filters the malicious attachments and phishing links embedded in an email message. One of the first antispam open source action it does is to immunize the email server, as it runs a background process monitoring the exchanges that happen in real time. These days, spammers have all the tools at their disposal to continuously improve their spam, a comprehensive antispam open source action needs to implemented by an enterprise, regardless if they are large or a start-up. Try Comodo Dome AntiSpam Today!